I actually read this book quite a while ago. I won a copy from the author herself at about the time the book came out in the US. I intentionally didn't review it then so that I would have a good excuse to go back and take another peek at this hugely original story. I've just finished re-reading it and enjoyed it as much as I did first time round – it's a rare book that can hold my attention for a second read but this one did just that. The premise of The Body Finder is of a slightly duel nature. Primarily, it's a gripping crime thriller but it's also an incredibly enthralling romance. Odd mix, right? Still, it kind of works... Protagonist Violet is a little unusual in that she has the ability to sense dead bodies, although only those who have died a violent or unnatural death. Actually her ability is slightly more layered than that. What she senses are “imprints” of dead people and these imprints not only exist in the area of the body but are carried by those who have killed. The imprints can be auditory, sensory or visual. At the start of the story, Violet finds the body of a young girl and it soon becomes apparent that a serial killer is on the loose – not ideal for our protagonist (or anyone else, come to think of it). However, Violet is having difficulty focussing on the murderer stalking her streets. Why? Because she's suddenly experiencing distinctly odd tingles every time she sees her best friend, Jay, who has blossomed into a rather handsome chap recently and seems oblivious to her rather inconvenient feelings. Violet is a great character. She deals with her gift with quiet familiarity as mostly it just involves finding and burying dead animals. On discovering the body of a peer she is believably shocked and upset and I liked that she didn't just take it all in her stride. She's sometimes a little impulsive and doesn't always think things through but that seemed believable enough considering her age and she always sees the errors in her judgement for what they are (albeit after the fact). She's brave in a scared sort of way, if that makes sense – I imagine that psychics that work for the police experience similar feelings to Violet; it can't be nice knowing just that little bit more than everyone else, particularly when it comes to a serial killer. What I also liked about Violet was her inability to focus on anything that was going on other than her friendship with Jay. Her struggle with her burgeoning feelings for him was beautifully written, with the pangs of jealousy and flurries of mortification hitting all the right notes. Their friendship is genuinely touching and I enjoyed waiting to find out how their relationship would progress. Jay himself is exceptionally likeable. Seemingly unfazed by his recent transition to almost manhood and the many female admirerers it has brought with it, he is entirely devoted to Violet – something she seems unable to see. At times he seems overly bossy, even commanding but always backs down (usually because Violet won't stand for it) and his concern for Violet is never less than touching. He's also pretty swoony, especially when seen through Violet's adoring eyes (she really does gush about him sometimes, but in a way that I can remember doing about boys at her age). Other characters of note are Violet's family. Her relationship with her dad is particularly lovely, illustrating an understated yet comforting father-daughter bond. Her mum seems more prickly and also a more absent parent but is clearly protective of her daughter and her uncle is another nicely drawn character, moving seamlessly from jovial family man to quietly professional police chief. The plot of The Body Finder is completely gripping. While at first glance, it would appear that the romance aspect somewhat overpowers that of the killer-on-the-loose plot, Derting cunningly keeps the nastier story line ever present by having sections written from the point of view of the killer (whose identity is not revealed to the reader until the end). The contrast of all consuming, innocent first love and dark, distressing insights into the mind of a killer mean that it is impossible to entirely relax while reading. These two aspects of the story sound incongruous but really aren't, instead they create a genuinely unsettling atmosphere that permeates every scene. There is one notable moment where Violet visits a cemetery and comes across an infant's grave – the echo she senses there made me physically shiver. 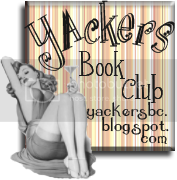 The Body Finder is an original and refreshing take on young adult and crime fiction. This is Derting's debut novel but it certainly doesn't read like one. The romance aspect is breathtaking and intense while the voice of the killer compares favourably to work by master of the crime genre, Geoffrey Deaver. While The Body Finder works fine as a stand alone title follow up, Desires of The Dead, is due for publication in 2011 and I will certainly be ordering a copy as soon as possible. 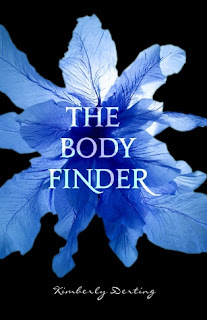 If you haven't read The Body Finder already then be sure to try it out – I can guarantee that you will find a book that is different to anything else in the YA market. The Body Finder is available now from Amazon.co.uk. Thanks to Kimberly Derting for sending over my copy. 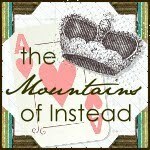 fab review - loved this book! What a wonderful review of this one! You've touched on absolutely everything that I loved about it, especially Violet's wonderful family. I loved that. When I was reading it, it felt like such a different novel to all the other paranormals that I've read because of the weird crime/romance mix. Can't wait for the next book in the series!